Hi all, just wanted to post some status of my trip to Japan. 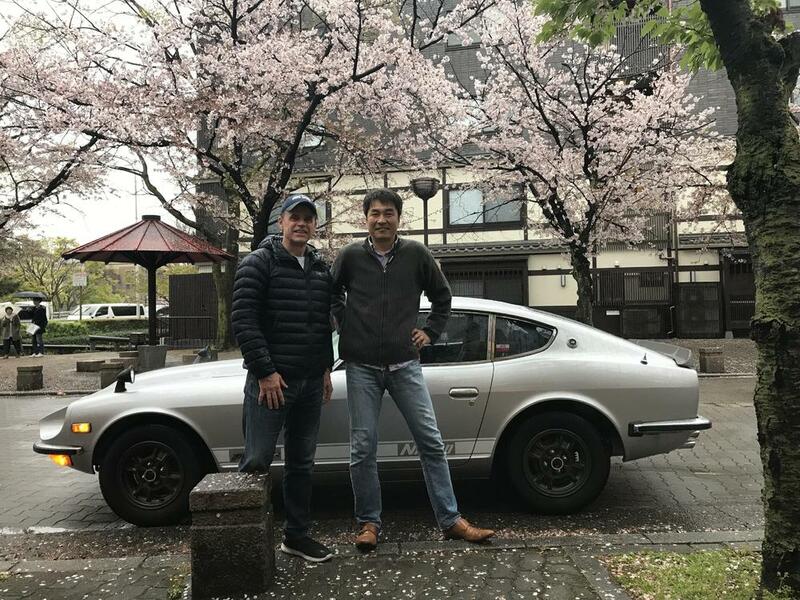 I was able to meet @kats and we took a drive in his Fairlady Z432. Man what a great car! It’s in great shape and Kats knows how to take car of his cars. We met in Kyoto as I arrived, with my family, to our hotel. Kats lives about 30 minutes away from Kyoto and drove the car up just to visit with me. He has 4 Z’s and asked me which one I wanted to see (and drive). Since I’ve never seen a Z432, it was an obvious choice. We spent about 20-30 minutes ogling the car before he let me drive it around the block. I don’t have an international drivers license, so he took the controls and we went for an extended drive around the city. I’ll post more about my observations when I am able to sit down at a computer, but I wanted to share a few pics. What a great time, and I wanted to personally thank Kats for taking time out of his busy schedule to meet with me. 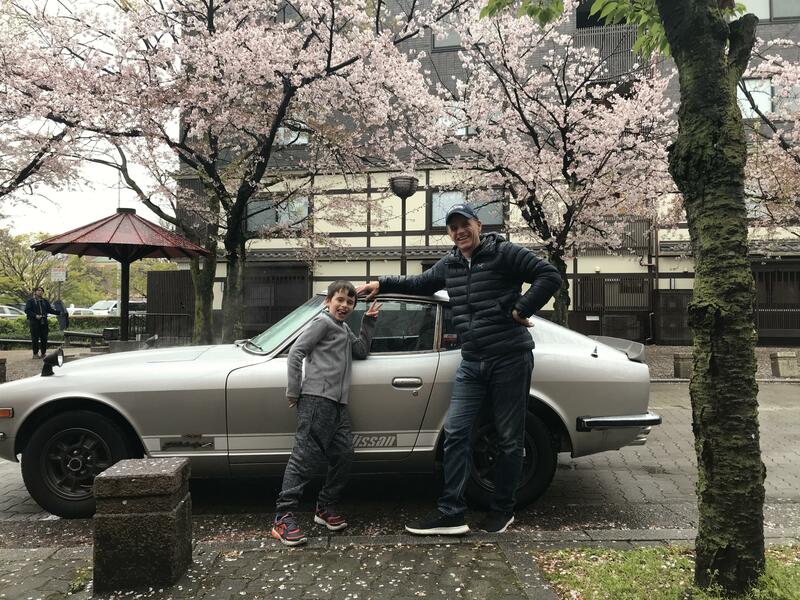 As you can see, it’s springtime in japan and the cherry blossoms are in full effect! Awesome! Can't wait to hear all about it. Hey Mike, were going in August. Also heading to Kyoto of many places I’m told. Curious, how much you were able to charge versus needing cash? I’ll write up something when I get back. Doing all of this by mobile phone right now and it’s not so easy to write a novel. Haha.